Where I’m From – I said it so many times but what does it really mean? I recently listened to a Genealogy Gems podcast episode number 185. To my delight, I discovered that Lisa shared my blog! Thank you, Lisa! I was also introduced to George Ella Lyon poetry. The poem “Where I’m From” featured there made me really think. Lisa proposed a challenge for readers to write their version of the poem. It sounded more like a dare to me, but I thought to myself “nahhhh there is not a drop of poetry in me”. BUT… To my surprise, I discovered that a part of my mind was constantly thinking about the poem during long hours of driving I do every day. So I let it flow and was really shocked to notice that it just appeared from nowhere! It might not be perfect or even good, but it is mine. The other surprise was to learn that I remember sounds, tastes, smells and feelings. I guess the Magdalene cake scene from Marcel Proust’s In Search of Lost Time makes a lot more sense to me now! My version needs a few pictures and a bit of background for non-Polish readers on customs surrounding All Saints Day (1st of November). 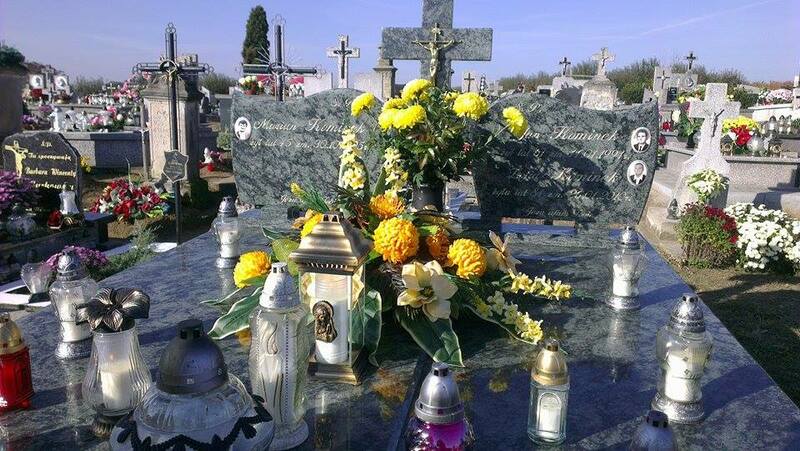 The whole country goes to visit family graves; on a scale, I did not see in any other place on the Earth. In the evening, any graveyard can be seen from far away as it is covered up by thousands of candles. There are processions and masses said among the graves. Every family gives their list of passed family members’ names to be read out during celebrations. You can see a small clip of what it is like here. I am going to write a separate post about this soon as this is one of the intriguing aspects of my family history. From the taste of grain coffee on a hot day and sweet black lemon tea when my eyelashes were all frozen shut. This entry was posted in general and tagged All Saints Day, Where I'm From, Where I'm From poem on 18th December 2015 by Jolanta.